Even if you are not a professional baker, you probably know what all-purpose flour is. But do you know that there is another type of flour called maida flour? If you have never heard of it, this article is for you. This article will focus on the difference between maida flour and all-purpose flour. Maida flour originally came from India. It is milled from the “endosperm” which is the starchy part of the grain. During the process, the fibrous bran is removed from the soft or hard wheat and then the white starch left is refined by sieving. The result is soft, fine flour which looks like cake flour from the United States. Maida is naturally yellowish in color, but it is typically bleached either by a natural or chemical process. In India, maida is called “all-purpose flour” by food enthusiasts because of its versatility in the kitchen. It is used to make traditional flatbreads (tandoori roti and naan), bhatoora, parathas, chapatis, puris kulcha, cake, biscuits, tortilla, pizza crust, and other pastries. Aside from being used for baking, it is also used to thicken sauces, coat fried foods, and as an ingredient in several traditional recipes. Maida is also widely used in Central Asia and Southeast Asia. 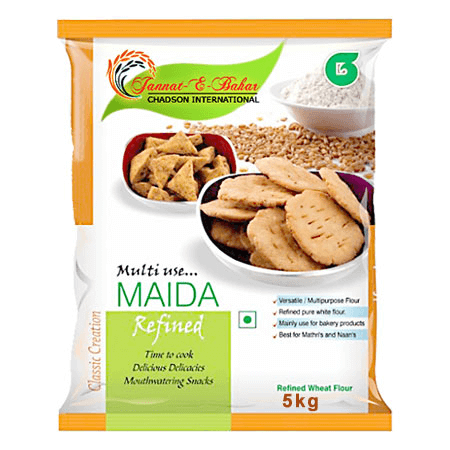 Maida flour has a low protein content due to the bleaching process and its exposure to heat during milling. It mainly contains carbohydrates which is why it is considered an unhealthy flour according to health experts. Maida can store for up to 8 months as long as it is kept in a cool, dark, dry place in a breathable container. On the other hand, all-purpose flour is a type of flour that is made from a combination of soft and hard wheat. It does not contain added leavening agent which is why it is also called “plain flour” in some areas. It can be bleached or unbleached. It has a protein content of 10-13%. 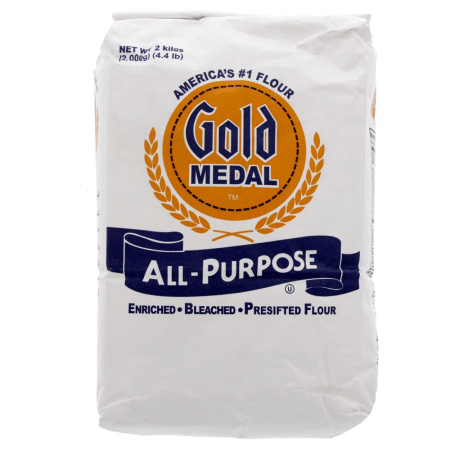 All-purpose flour is perfect for sauces, soups, pancakes, bread, cake, muffin, cupcakes, cookies, pizza crust, biscuits, and other baked goods. It is the most common type of flour and it is readily available in grocery stores and supermarkets. It can store for up to a year. What, then, is the difference between maida and all-purpose flour? Maida flour was originally used in India to make traditional flatbreads whereas all-purpose flour was not. In India, however, maida flour is also called “all-purpose flour” because it is very versatile in the kitchen, just like the all-purpose flour sold across the United States and Canada. When it comes to texture, maida flour is noticeably softer and finer than all-purpose flour. Also, maida flour is typically bleached, whereas all-purpose flour can be bleached or unbleached. All-purpose flour is readily available in supermarkets and grocery stores in the United States and Canada, but it can be difficult to find maida flour at times. Maida flour is extensively used in Central Asia, South Asia, and Southeast Asia. Moreover, maida flour can store for up to 8 months, while all-purpose flour can last up to a year if kept in a cool, dry, dark place.